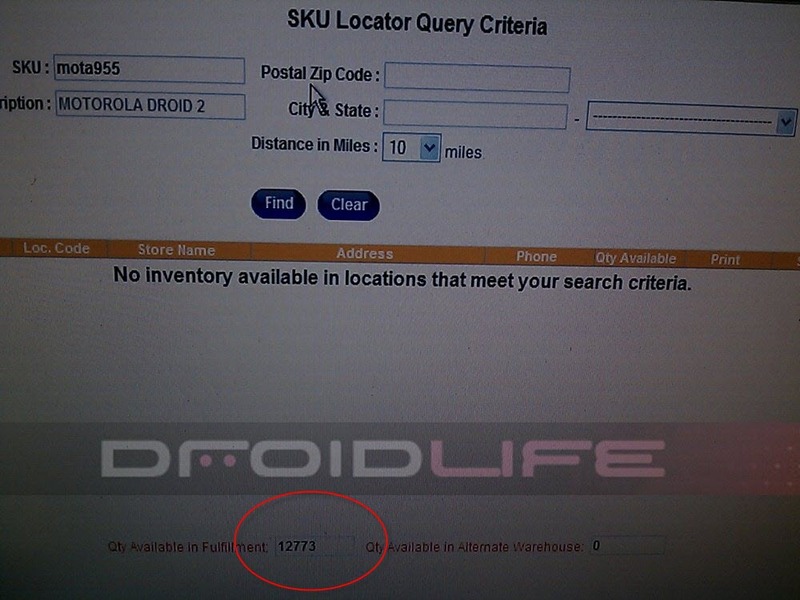 Still no “official” date from the Verizon camp, but we now know that warehouses are seeing big time stock arrivals of the Droid 2 which is set to launch this Thursday. 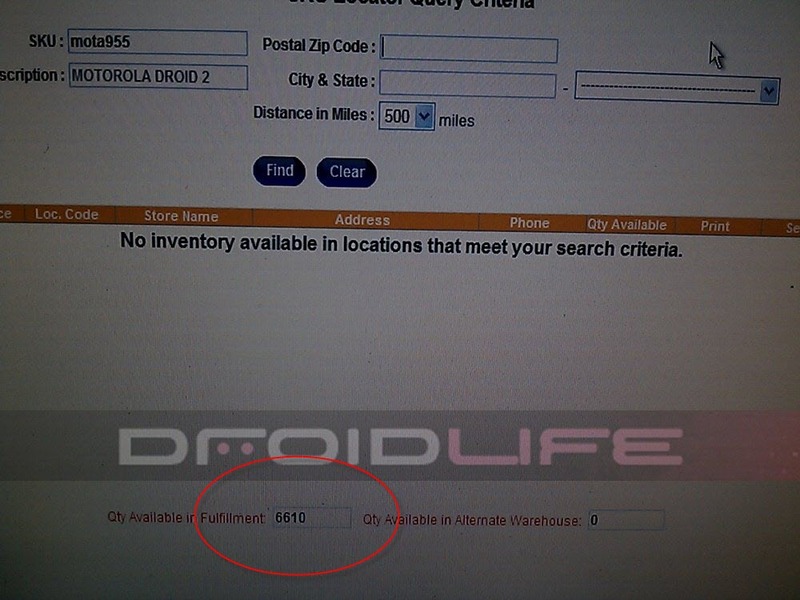 That number (6,610) seems a little low, but our sources fully expect that number to spike within the next day or two. People love keyboards and the D2’s updated version should be quite appealing to those with fat fingers…err that like…physical buttons. It still seems so odd that Verizon would get to 3 days before the release of a major device like this and still not confirm it with any media outlet. Oh well, it’ll be a hit anyway.